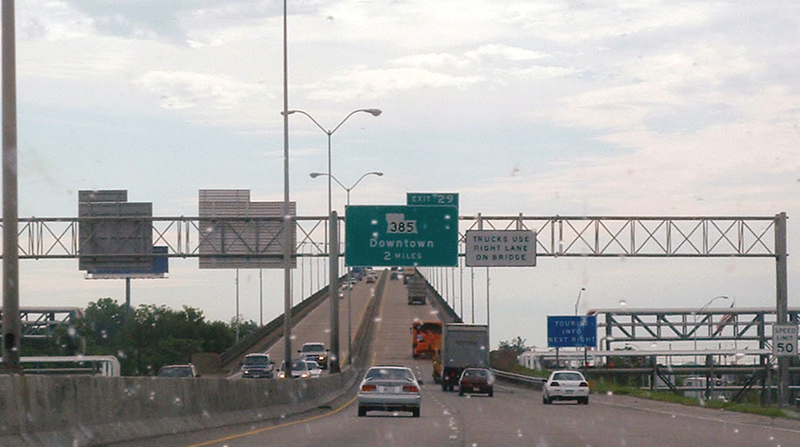 Fender benders on the interstates in and around New Orleans are as common as a homemade bowl of jambalaya for lunch. But an accident on Interstate 10 at Milepost 238 on Nov. 17, 2017, seemed a little strange, as truck driver Robert Runnels recalls it. A motorist flagged Runnels down to inform him that his 18-wheeler had sideswiped a car. But when he checked his truck, he saw no damage and the truck’s onboard data system did not document any type of impact. Now, more than a year later, Runnels and his employer, Mississippi-based Whitestone Transportation, are preparing for a trial set to begin March 18 that is laced with allegations of fake accident schemes devised to reap hefty financial settlements from fleets. Attorneys for Whitestone allege in court documents that their investigations have uncovered evidence of more than 30 other accidents in New Orleans with similar “factual scenarios” to the Runnels incident. “These similar questionable facts included alleged accidents on Interstate 10 and/or 610 in the New Orleans area where an unknown third vehicle waves down an 18-wheeler driver that is unaware that he or she was allegedly involved in an accident,” said a counterclaim filed by Whitestone’s attorneys. Similarities among these cases and the Whitestone case — all in the New Orleans area — include multiple people in a claimant vehicle, sideswipe allegations with commercial vehicle trailers, minimal damage to claimant vehicle, little to no damage to the insured trailer and a commercial vehicle driver who is either unaware of or denies impact, according to trucking attorneys. Chance McNeely, executive director of the Louisiana Motor Transport Association, said in such cases the deck typically is stacked against trucking companies. McNeely believes trucking companies are victims of such staged accidents. “In our state, trucks are guilty until proven innocent,” he said. “It’s always the same thing: Four people in a sedan, and there’s always a random witness who gives a loose statement to the cops and has a random appointment and has to get away, “ McNeely said. And all too often they use the same attorneys and the same doctors, he said. In their federal lawsuit against Whitestone, Tiffany Turner, Adonte Turner and Dimitri Frazier, all of New Orleans, said they were traveling in a 2010 Chevrolet Impala in the center lane on I-10 when their vehicle was struck by a semi-truck driven by Runnels. They claim Runnels moved to the left lane and suddenly back to the center lane, causing a collision. The three said they sustained “severe and serious bodily injuries” and are seeking $1 million in actual and exemplary damages from Whitestone for negligent entrustment of its vehicle to Runnels, failure to properly train its employees and other acts of “negligence and imprudence.” They also seek damages for medical expenses, mental anguish, loss of enjoyment of life, physical pain and suffering and inconvenience. While the allegations on both sides of the case are serious, it has over time taken on something of a dramatic flair. Lawyers for the plaintiffs said one of their clients could not recall answers to such questions as where her son works due to her diagnoses of schizophrenia, bipolar disorder, insomnia, asthma, sleep apnea and high blood pressure. Whitestone attorneys also deposed a woman who posed for photographs with Tiffany Turner on Facebook and alleged that Turner and her kids have “intentionally caused and/or faked accidents on the blind side of 18-wheelers.” The attorneys also have alleged that a man who was once married to Turner was involved in a similar incident in July 2017 when his vehicle was sideswiped by an 18-wheeler and was waved down by an unknown third vehicle. The legal culture in the state is a challenge for truckers, McNeely noted. “We have a lot of billboards for attorneys, and many of them demonize our industry,” he said. “We actually have two attorneys in town who have sued each other over who has the exclusive right to stand on a truck for their advertisements.” Motta, in her ads and on business cards, is shown kicking an 18-wheeler.